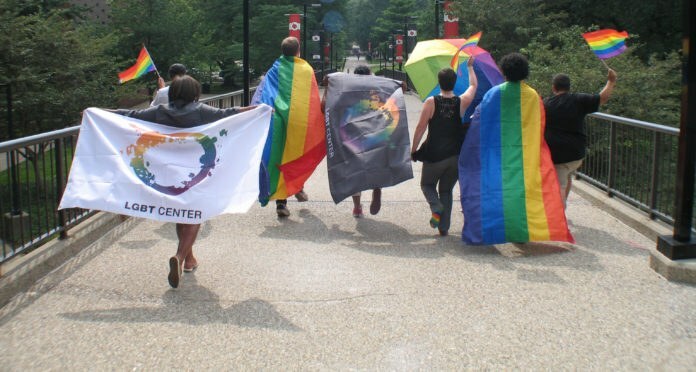 The LGBT Center started with a half-time director working out of a closet 10 years ago, and quickly grew UofL into one of the most LGBT-friendly campuses in the country. For the third year, UofL has been named the "Best of the Best" among LGBTQ-friendly universities. The University of Louisville has been named among America’s “Best of the Best” LGBTQ-friendly universities for the third year. UofL earned five out of five stars in the Campus Pride Index, released this week by Campus Pride, a national nonprofit organization that rates colleges and universities according to their support of lesbian, gay, bisexual and transgender issues. Additionally, UofL is the only public institution in the south to be recognized by the organization. In order to be in the Top 25 listing, an institution had to score the highest percentages in the LGBTQ-friendly benchmarks for policies, programs and practices. The Campus Pride Index is designed to help campuses learn ways to improve their LGBT campus life and shape the educational experience to be more inclusive, welcoming and respectful. It also provides students a tool for finding inclusive schools. Brian Buford, assistant provost for diversity and director of the LGBT Center, commended work happening university-wide in support of LGBTQ students, including a LGBT Studies minor program, the School of Medicine’s curriculum infusion efforts, and LGBT meeting space at the J.B. Speed School of Engineering.